Clothes rationing began on June 1, 1941, two years after food rationing started. Clothes rationing ended on 15 March 1949. They were rationed because there was a shortage of materials to make the clothes. People were also urged to ‘Make do and Mend’ so that clothing factories and workers could be used to make items, such as parachutes and uniforms, needed in the battle against Germany. Everyone was given a Clothing Book with coloured coupons. Every item of clothing was given a value in coupons. To buy clothes people handed over their clothing book to the shop keeper who cut out one of the coupons. Then they handed over the money to the shop keeper to pay for their clothes. The coupon system allowed people to buy one completely new set of clothes once a year. The very heavy shipping losses sustained by the Allies meant that rationing soon became normality for the duration of the war and beyond. All sorts of essential and non-essential foods were rationed, as well as clothing, furniture and petrol. Rationing was introduced at the beginning of 1940. On National Registration Day on 29 September 1939, every householder had to fill in a form giving details of the people who lived in their house. Rationing was introduced to make sure that everyone had a fair share of items that were hard to get hold of. On 28th September 1940, the Western Morning News reported that the Three Towns Dairy were to halt the supply of cream following the government’s decision to implement a prohibition from the 1st October. 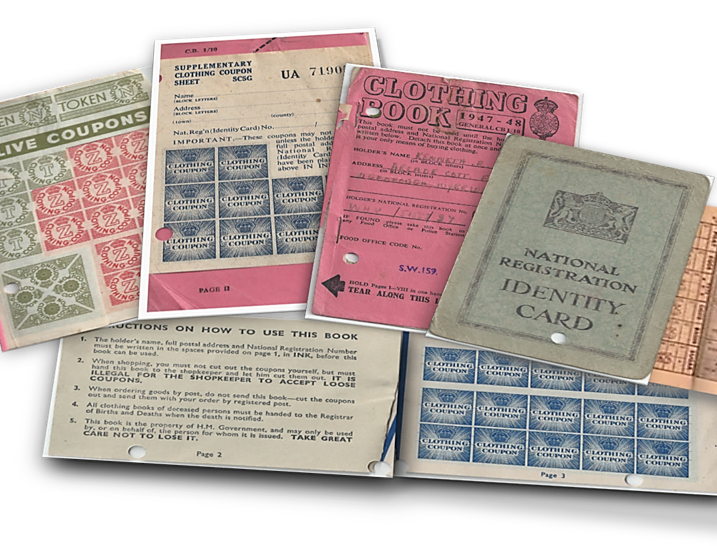 Millions of ration books were printed and people had to obtain these in order to buy food, clothing and motor fuel (for persons with authorised vehicle use). Everyone had to register with a butcher, grocer and milkman. Coupons were handed in for items in addition to money payments and this system enabled strict control of food consumption and the use of other items. The National Savings movement during World War 2 raised funds to support the war effort and included campaigns such as ‘Wings For Victory’ week to purchase bomber planes, a ‘Spitfire Week’ to purchase a fighter plane, a ‘War Weapons Week’, a ‘Tanks For Attack’ week, as well as ‘Warship Weeks. There are several references of the Ivybridge community contributing to war funds. Spitfire Week in 1940 was opened in Ivybridge when a lamb was auctioned at the market. Portals (John Allen & Sons) Athletic Club agreed to donate £50 from club funds, whilst a door to door collection raised a further £15 8s. 11d. The young farmers held a dance in the London Hotel Assembly Room and donated £2 10s and the children from the council school contributed by selling scrap iron raising £2 10s. Later, in 1941, Ivybridge organised a campaign for the purchase of a tank by the National Savings Movement with the aim to raise £5,000. Whilst, records of the Ivybridge Women’s Institute document various whist drives in aid of War Weapons Week and Salute the Soldier and a Flag Day for the Devon Air Squadron. ‘Salute the Soldier’ Week was a fund raising scheme to encourage civilians “to save more, lend more”. The Government encouraged people to open accounts, such as War Bonds, Savings Bonds, Defence Bonds and Savings Certificates. It coincided with a week of parades and exhibitions, such as the event staged in Ivybridge in 1944. Events for Salute the Soldier Week included a dance in the Masonic Hall hosted by the Young Farmers Club, an open air display by the A.T.C. Girls Training Corps and Army Cadets and an open Tug-o-War competition and sports at Cinder Lane. At 3.00 pm on the 8th May 1945, the Prime Minister Winston Churchill, broadcast from the War Cabinet Office that the war was over. At the time of Churchill’s broadcast it was documented that the streets of Ivybridge were deserted, everyone was in doors. However, from 6.30 onward, it was the complete reverse, crowds had flocked to the churches for special services and then later celebrations both at home and in the streets. A bonfire was lit on the Beacon and it was reported that, to everyone’s surprise, a number of fireworks were set off. Impromptu street dances were organised that evening and the following evening from 10 pm until after midnight. A dance in the school playground went on until midnight and a public meeting was held in the school to organise celebrations and children’s sports on the following Saturday. A charge of 1d on the rates were made to cover these expenses. Victory in Europe (VE) Day was declared for 8th May 1945. Three months later the Japanese also surrendered and Victory over Japan (VJ) Day was declared for 14th August. This brought to an end a war that had cost the lives of an estimated 55 million people. There were a total of five celebration teas for the children and several attended more than one. In the Congregational schoolroom the children were treated to strawberries and cream and ice cream and, on leaving, each child received lemonade, homemade sweets and a new sixpence piece. Children in the west end of town enjoyed a tea in the GTC Hut and each child under three received a savings stamp for 2s 6d and the over-threes one for 6d. Children from Fore St had a lavish feast in the Methodist schoolroom and at Woodlands about 20 children were entertained with a little tea party (depicted above). Reference: “Ivybridge during the Second World War 1939-1945”. Arthur L.Clamp. Welcome Home Funds were set up in many towns and in Ivybridge this was started in October 1944, under Mr M.P.Snell at the Council School. 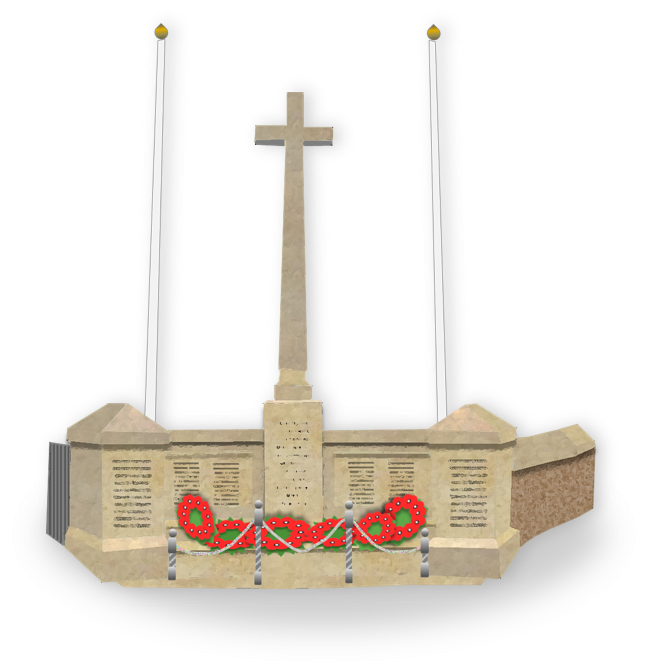 A variety of events were organised to raise money and certificates were produced for each service person as a mark of appreciation by the people of Ivybridge for the sacrifices they had made during their service years.